Liberty's mission is to achieve sustained growth, profitability and customer satisfaction through competitive pricing and quality control. We differentiate ourselves from the others through our dedication to comprehensive safety, quality control and environmental programs. Liberty is passionate about providing quality paint removal and coating services. Such services are provided in accordance with our clients' specifications and requirements. All coating operations performed by Liberty Maintenance, Inc. require the implementation of Quality Assurance and Quality Control Programs by all personnel both directly or indirectly involved with the operations. Special emphasis is placed on safety in the performance of all work operations. The implementation of the company safety program is mandatory on all job sites no matter how large or small. Environmental controls are used to control, reduce and minimize the hazards found in the bridge painting industry. 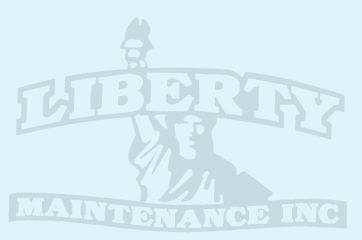 Liberty Maintenance, Inc. follows all health and safety regulations established by OSHA, EPA and state and local government in a dedicated effort to protect the safety of our employees and our environment. Loberty is dedicated to the implementation of safety, environmental and quality control programs and customers satisfaction.